A small plastic case that fits behind the ear and provides sound to the ear through a small length of tubing placed in the ear canal. Ideal for mild to profound hearing loss. Typically the size of a paper clip, this digital style is attached to a small ear tip via a micro tube, which fits discreetly behind the ear. Ideal for moderately severe high-frequency loss. This style fills only the bottom half of the external ear with a custom-made fit. They usually cannot be seen when facing another person directly. Ideal for mild to moderate hearing loss. These devices are custom made to fit the outer ear bowl and are sometimes visible when standing face to face with someone. Feedback may be a problem for those with severe hearing loss, though modern circuits are able to assist with cancellation. Ideal for mild to moderately severe hearing loss. 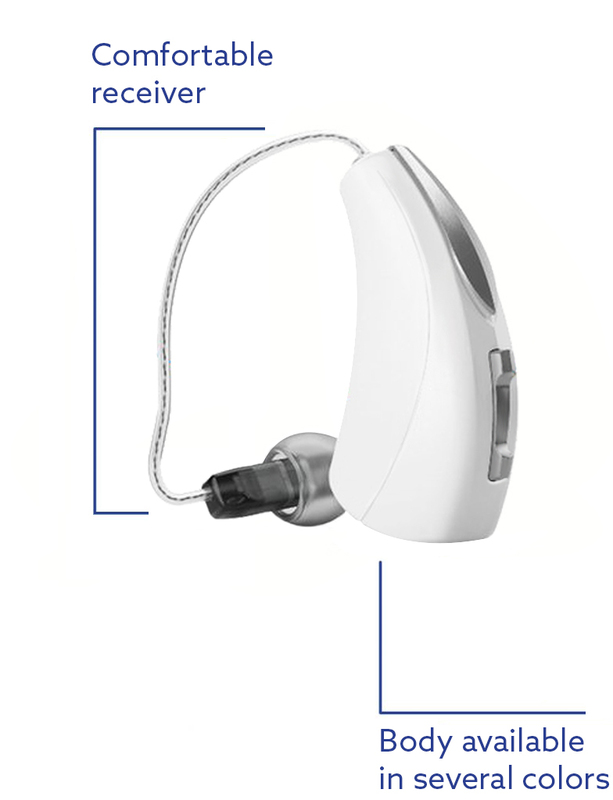 These digital hearing aids are customized to fit completely inside the canal, and are very small for low visibility. This style is usually not recommended for people with good low frequency hearing, as the occlusion effect is much more perceivable. They also may not be suitable for those with narrow ear canals. This type of hearing aid is not visible when worn, as it fits deeper in the ear canal than other types through a comfortable custom fit. 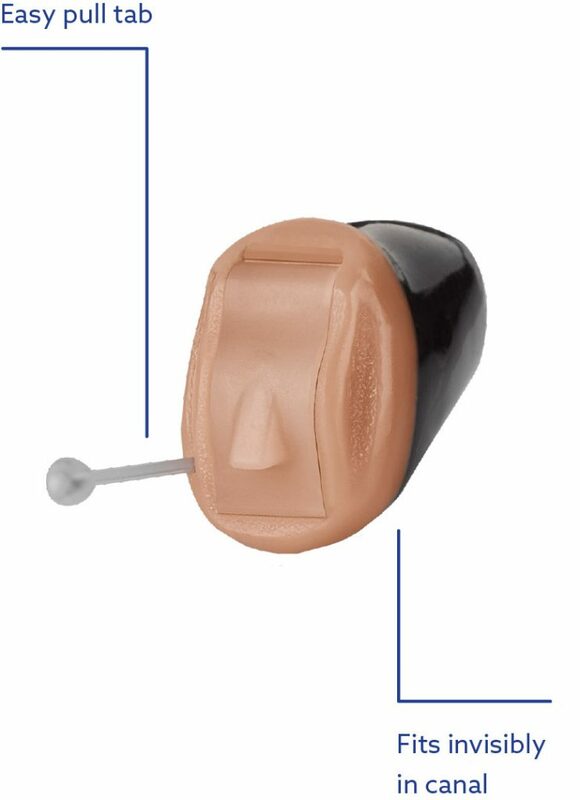 Invisible hearing aid types like this use venting and their deep placement for a more natural experience. Those with narrow ear canals may not be good candidates. This hearing aid is completely invisible in most ears, and the comfortable fit works well for first-time users. If you want to hear better, but aren’t sure you’re ready for a hearing aid, it’s time to AMP. Enjoy a comfortable, personalized listening experience with an invisible and custom fit. This unit features technology to speed the transition period, by gradually adjusting settings to allow your brain to acclimate to new sounds. 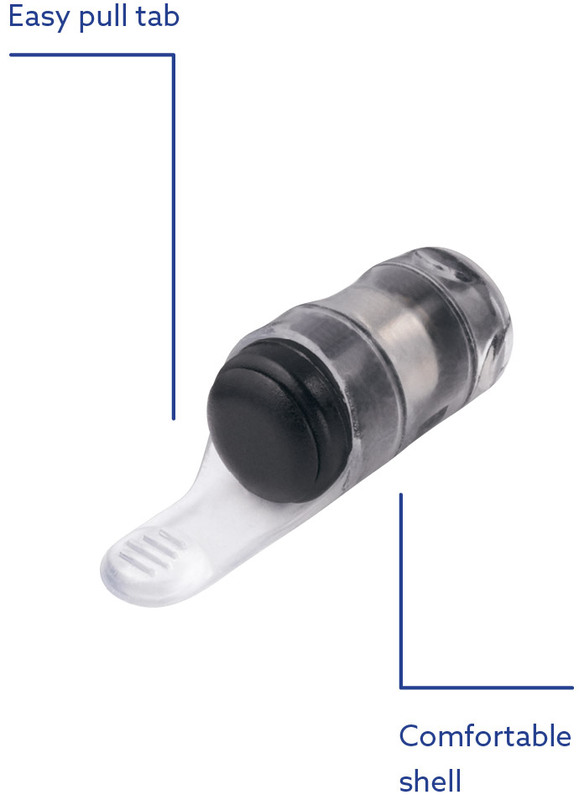 This unit works with pristine clarity in even the noisiest of environments without any buzzing or whistling. With a comfortable fit behind the ear, it can usually be invisible when facing straight on. Starkey tinnitus treatment solutions create a customizable and comforting sound stimulus that can be fine-tuned to soothe the unique, irritating sounds you hear. The result is personalized sound therapy designed to mask tinnitus. Clean your hearing aid(s) daily with a dry cloth, either in the morning or at night, with either a disinfectant spray or wipe. Always turn off and store your hearing aid(s) in the case provided, and remove the batteries when not using it. Never submerge your hearing aid(s) in water to avoid disrupting the circuitry. This includes showering, swimming, and washing under a faucet. Avoid overexposure to heat, such as the stove or oven. Try to avoid dropping your hearing aid(s) on hard surfaces. Store your hearing aid(s) in a safe place out of reach of pets and children. 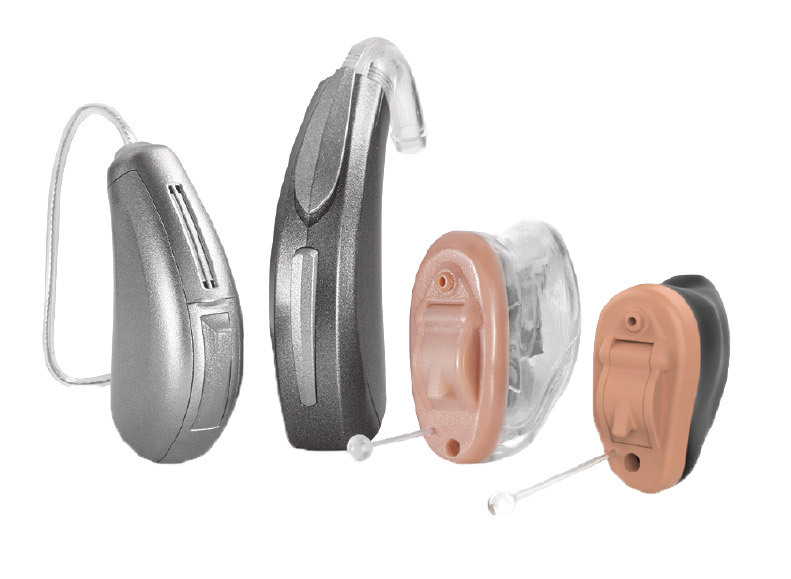 All Livingston hearing aids come with a 1- to 2-year manufacturer’s guarantee. Minor repairs to your hearing aids are completed the same day at your local Livingston Hearing Center, although in certain circumstances you may need to leave your hearing aids with us. Repairs which cannot be carried out on the premises will be sent back to the manufacturer and returned to the Center within 7 working days. The Livingston Extended Warranty Plan is designed to give you peace of mind once the initial warranty has expired on your hearing aid(s). If you have a problem with your hearing aid(s), the repair will be performed free of charge under the terms of the extended warranty.